The problems with overpopulation and severe and health-threatening pollution in Tehran over the past years are mentioned as main factors to move the capital. perhaps the Majlis will declare the new capital to be Damascus. plenty of empty spaces there and room for all the new holes in the ground and shopping mall construction that the fanboy so loves. With all due respect for you and Ahvaz, but I am not sure if that would be such a good idea. For many reasons, internal security being one, any new Capital (Hopefully a completely newly built one according to 21 century standards) should be in the central parts of Iran, being protected by the natural defense lines of Zagros mountains and Alborz. Imagine the consequences of Ahvaz being the Capital, during the war with Iraq. If the regime is so desperate to move then all go to Najaf in Iraq where they rightly belong with their fellow fanatics. I think you may be right regarding the security part! But it sounds un reasonable to construct new buildings with the goal of turning it into a Capital. 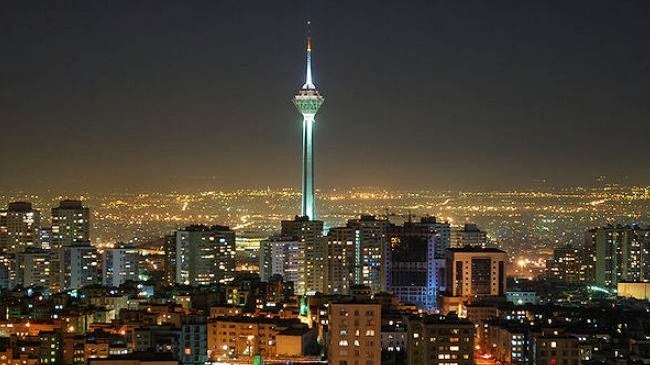 I mean cities like Tehran did not get that big with just a couple of projects. It has grown for many Centuries. So starting a "A new capital" from basically nothing on an empty area seems weird. Another logical choice would be Isfahan, it is even more centrally located...actually used to be the Capital of Iran during the 1500s-1700s. Yazd is another alternative, smaller than Isfahan, centrally situated a little bit to the south-east. For people who do not know...the capital of a nation does not necessarily have to be the largest or have the most inhabitants. There are examples from around the world. Indeed, I agree with Anonymous December 24, 2013 at 6:24 PM. Of course, the notion that the Khomeinist regime's Majles is a "parliament" is a joke. A parliament is a nation's highest legislative authority. In the case of the Mollah Regime, that would be the akhoonds' Council of Guardians. That's another example of the dishonesty of the regime. They look at the U.S. legislature and say, "vee should make something dat looks like dat." But of course they wouldn't dare let their legislature have any *real* power. It's just a show piece, an artist's rendering, a lie, an example of how deception is in their DNA. Would that be instead of how racism is a part of zionism? hasbara shill. US legislatures? You mean the ones who can not be elected unless they have the support of the Jewish lobby and AIPIAC ? Not a "Jewish lobby". A zionist lobby.